Welcome to Knebworth Community Chorus! 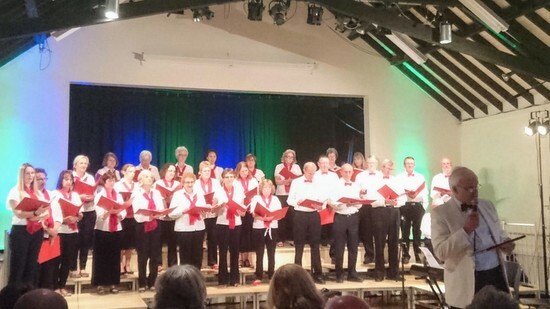 Knebworth Community Chorus will be holding its next concert on Saturday 15th June 2019 in Knebworth Village Hall. We come together for just a few rehearsals before each concert and hold these in Knebworth, mostly at Trinity Church Hall and Knebworth Village Hall. Rehearsals for our Summer 2019 concert start in early May so please be in touch if you are interested. We welcome all local singers who are enthusiastic about and interested in singing. 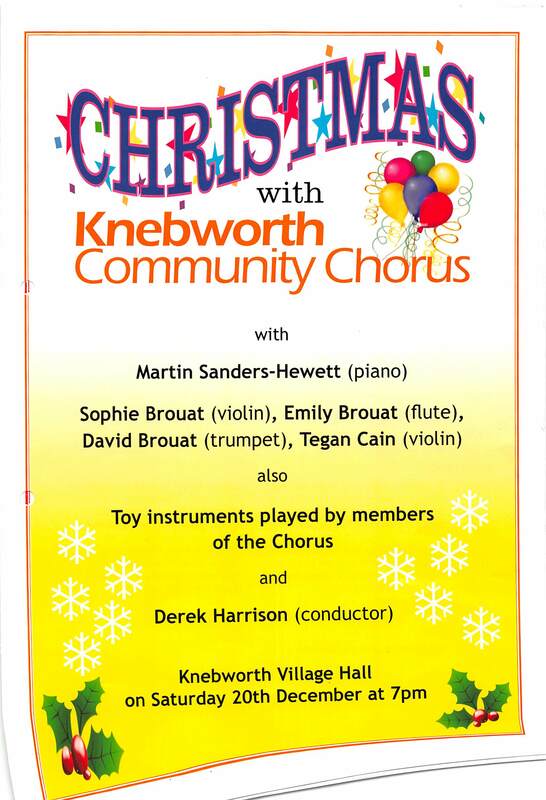 Knebworth Community Chorus held their annual Christmas concert on Saturday 8th December 2018, at Knebworth Village Hall, joined by the choir and instrumentalists from St Michael's School, Woolmer Green and accompanied by Chris Muhley. Our summer concert A Celebration of British Music was held on a perfect summer's evening on Saturday 23rd June 2018. KCC was joined by Alexis Bennett on the fiddle and Simon Marlow on piano to make an altogether very enjoyable evening for audience and performers alike. Singers and Performers: If you are interested in singing with us, or performing with the chorus in some other way, please click here for contact details and how you can find out more about joining in. The photo below is from our Summer Concert in June 2018.